Did I ever tell you about my passion for Greece? 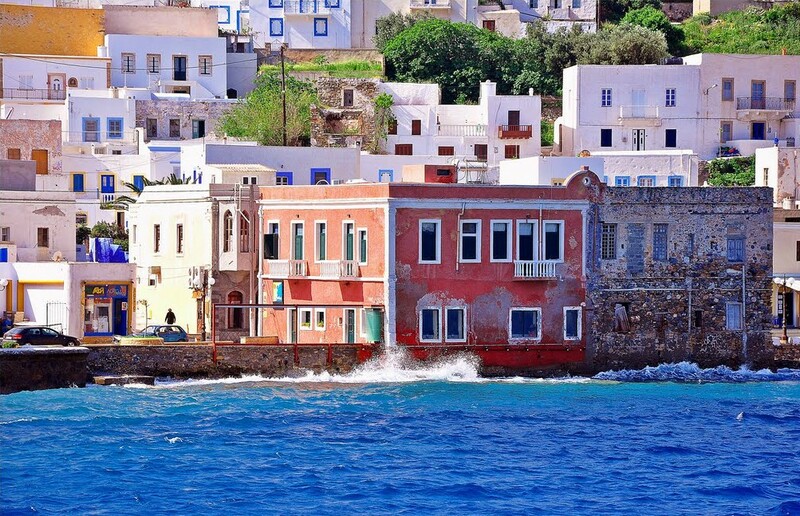 When I was a teenager I spent my holidays on the same little Greek island for few years in a row. 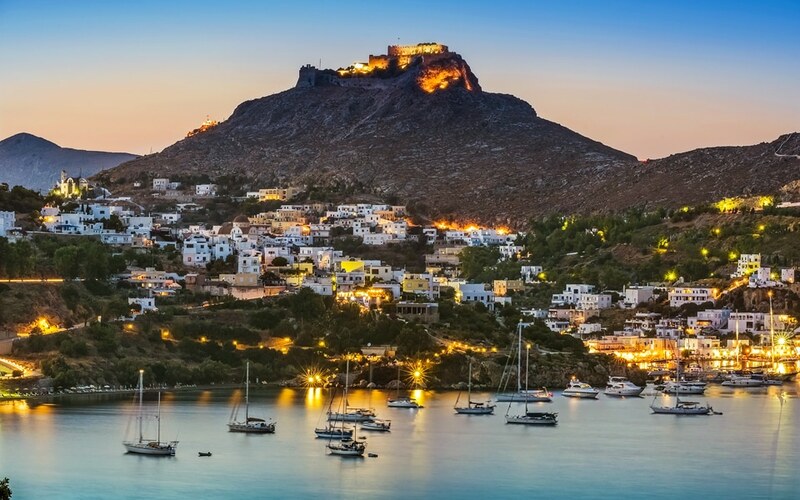 This island was Leros, in the Dodecanese in the southern Aegean Sea. I became friend with the locals, I pushed myself into learning their beautiful language and I worked during the summer as a waitress in a little restaurant in front of the sea. 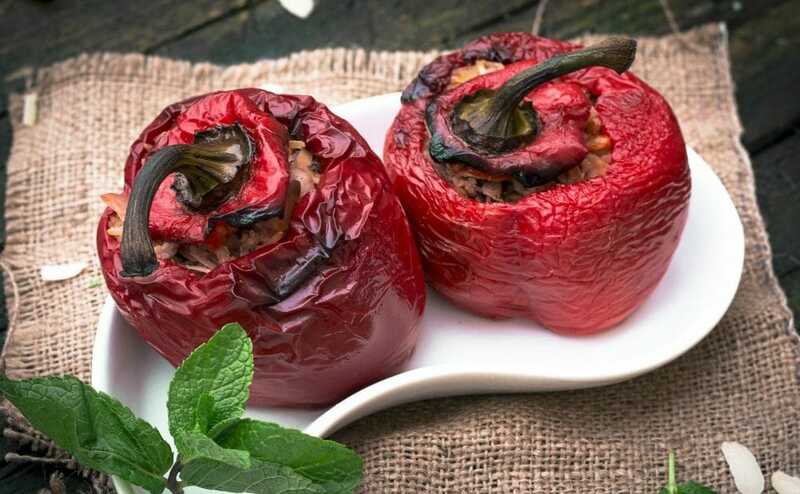 As many of you know one of the classic of Greek cuisine are Yemista (also written as Gemista, or Γεμιστά in Greek): peppers and tomatoes stuffed with minced meat and rice. I learned in Leros how to bake them. They have always been a success in my house, but we when we decided to cut our meat consumption, the Yemista kind of became a forgotten dish. Until one day last year, when I met Elefteria, a girl from Athens who was doing an internship in Dublin in the same office where I used to work from time to time. She told me she came from an area in Athens where there is a great Middle Eastern influence and that in her family “Ta Yemista“have always been vegetarian. That came as a surprise! And obviously triggered my curiosity. I asked her instructions and ingredients and I was lucky enough to try her Yemista when she baked them for a pot luck. I also browsed the net and found a similar vegetarian Yemista recipe in Diane Kochilas’ blog. My final version of the vegetarian Yemista recipe which you find below takes from both, and from my experience in Leros. 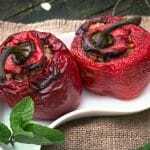 Notes: I chose to bake Yemista with peppers for this recipe, but Yemista with beef tomatoes instead of peppers are quite common as well. This is a possible variation of this great recipe. Also, Yemista in Greece are often baked with some potatoes and a little bit of fresh tomatoes. That’s why I baked them like that (check my photo below) but you can skip these ingredients if you like. Wash the peppers and cut a circle around the stem. Keep the stem which you will use as lid later on. Remove seeds and white membranes. Place the peppers in an oiled tray and sprinkle some salt inside each of them. Place the finely chopped onions with some olive oil in a large pot. Let them sauté for 10 minutes. Add the rice and stir continuously for few minutes. Add chopped tomatoes, garlic, currant, almonds, cinnamon stick and 1 cup of water. Cover and let everything simmer at a lower heat for about 15 minutes (or until rice is almost cooked – but not fully cooked because it will cook further in the oven). Add salt pepper and chopped mint, and mix. Stuff the peppers with the mix and close them with their lids and stems. Place the stuffed peppers back in the tray. Peel and cut the potatoes in wedges and place them between the peppers to help them stand and to cover the tray surface. Add some tomatoes slices to the potatoes to help moisturize. Pour some olive oil on top of the peppers. 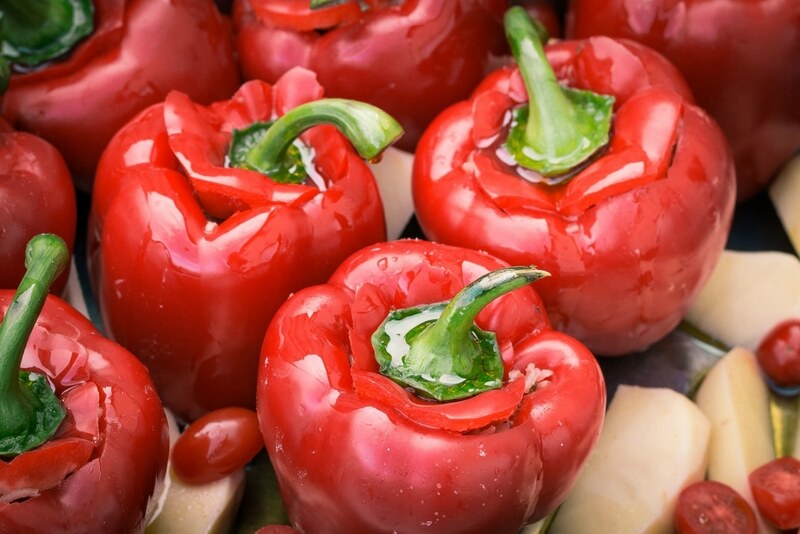 Bake in a preheated oven at 180°C for over an hour until peppers are soft and start to get brown at the edge of the cap. Hi Alex, Let me know what you think! !